Our padded nose and crown halter is made for Arabians (Medium/Adult) and larger breed horses. The halter is 3/4" double stitched beta material with leather padding, solid brass hardware, and an adjustable chin and crown. This Style halter has been very popular for Show Awards and gifts. This padded nose and crown halter is made for Arabian sized (Medium/Adult) and larger breed sized horses. 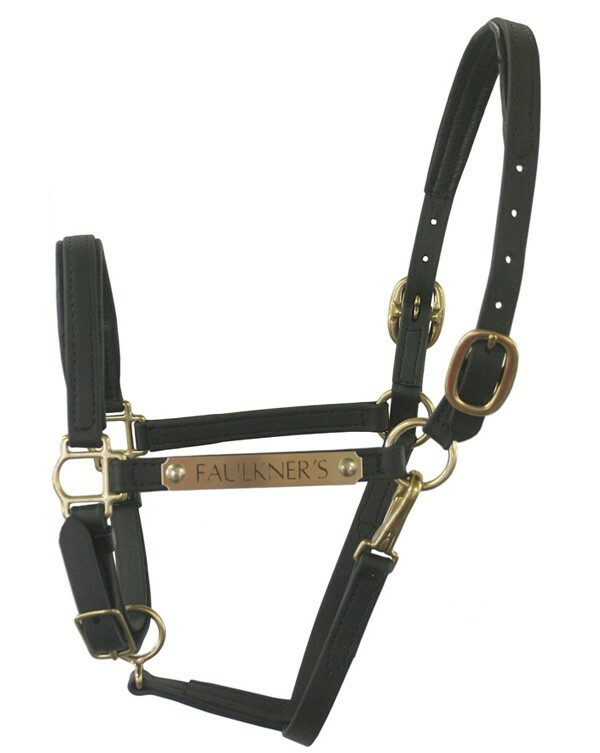 The halter is 3/4" double stitched beta material with leather padding, solid brass hardware, and an adjustable chin and crown. 100% Guaranteed.